The bewildering complex of forty-five rivers that develops more than 900 km circuitous lagoons, lakes, estuaries, canals, and deltas in the South Indian state of Kerala is something that calls the adventurers and nature admirers from all around the blue planet. These topographical traits blessed the God's Own Country with intricate traversable water worlds, commonly known as 'backwaters'. Cruising all along the backwaters of Kerala is an ultimate way to discern its bona fide exquisiteness, incredible foliage, bird sanctuaries, wildlife and affluent ethnicity. The sluggish, tranquil and steep backwater journey is like a stirring depiction of nature's beauty in front of the tourists. The contentment of this enthralling cruise is augmented by the wavering palm trees, twittering of colorful avifauna, verdant green vegetations and urbane amenities of houseboats. The jubilation of Kerala Backwaters is commended throughout the world and it lures tourists in great swarms to this land of naturally and culturally thriving land. 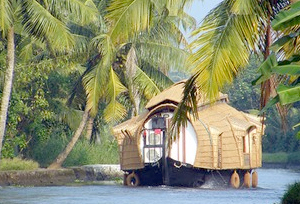 Here is our tour itinerary that is completely dedicated to Backwaters of Kerala. Along with it is the extension to our backwater itinerary. AOn arrival at Trivandrum, our representative will transfer you to your pre-booked hotel for an overnight stay. Today in the morning, we will leave for Quilon to board on House Boat, old traditional country boats modified with kitchen and bedrooms to enjoy the nature at its best. Further, we will proceed to Alinkadavu for an overnight anchoring. Today, we will proceed to Alleppey, well acknowledged as known as "VENICE OF THE EAST" because of its criss-crossing canals. An overnight stay in House Boat. We will leave for Kumarakom Bird Sanctuary. En-route, we will stop at Vaikom. Today, we will leave for Cochin, "THE QUEEN OF ARABIAN SEA". On arrival at Cochin, check in at your pre-booked hotel. In the evening, we will proceed to see KATHAKALI, traditional dance drama of Kerala. We will proceed for Cochin tour and explore the places like Dutch Palace, Chinese Fishing nets, Jewish Synagogue, St. Francis Church. 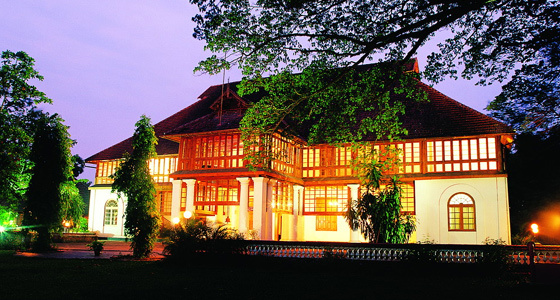 Enjoy a night stay at Cochin. Prepare for departure and get airport transfer from the hotel. In the morning, we will drive to Calicut. On arrival at Calicut, check in at the hotel. In the afternoon, enjoy half day city tour covering – Pazhassiraja Museum, Krishna Art Museum and The Art Gallery. An overnight stay at the hotel. The day is free to explore the place. An overnight stay at the hotel. In the morning, we will drive to Ooty. 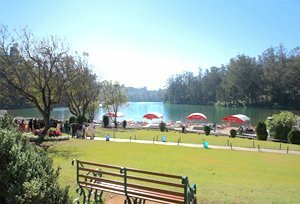 On arrival in Ooty, check in at the hotel for an overnight stay at the hotel. The day is free to explore the surroundings. An overnight stay at the hotel. In the morning, we will drive to Mysore. On arrival in Mysore, check in at the hotel. In the afternoon, we will go for the city tour. An overnight stay at the hotel. In the morning, we will proceed for city tour. Later, we will drive to Bangalore. On arrival in Bangalore, check in at the hotel for an overnight stay. Today in the morning, we will proceed for city tour of Bangalore followed by departure. We will transfer you to the airport to catch the flight to Mumbai. On arrival, you will be taken to the hotel where we will be holding few rooms for wash and change. Enjoy dinner and transfer to the airport to catch international flight. Accommodation on double sharing basis?